Spotify to offer free music streaming to smartphones and tablets in the UK? | What Hi-Fi? Spotify to offer free music streaming to smartphones and tablets in the UK? Spotify is planning to expand its free music streaming service to mobile devices such as smartphones and tablets, reports MediaGuardian. Currently only Premium subscribers who pay a monthly fee of £9.99 can stream music to their portable devices. Now apparently Spotify is entering negoiations with the major record labels to secure new licensing agreements to enable the move. According to The Verge, Spotify has already begun discussions in the UK with Warner Music, and is shortly expected to enter talks with Sony and Universal as well. Last year Spotify launched a free radio player app in the US for iPhone and iPad users offering streaming of unlimited songs and stations, but with advertising – in the same way that it runs ads on the free streaming service for computer users. 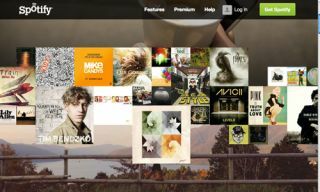 This latest move is seen as an attempt to stave off competition from rivals such as Napster, Rdio and Deezer.